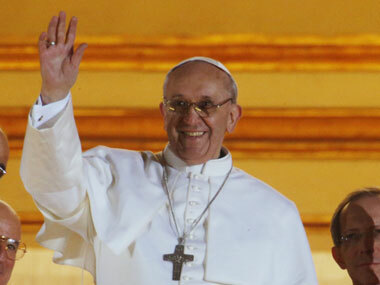 Nairobi: Pope Francis told Christian and Muslim leaders in Kenya on Thursday that they have little choice but to engage in dialogue to guard against the “barbarous” Islamic extremist attacks that have struck Kenya recently, saying religious leaders must be “prophets of peace” in a world sown by hatred. Francis made the comments in a meeting with Kenyan Christian, Muslim and other faith leaders at the start of a busy day that will also see him celebrate Mass on a rain-soaked university campus and deliver a major environment speech to the UN regional headquarters in Nairobi. On Friday, he heads to Uganda for the second leg of his first African pilgrimage. Kenya, a former British colony is majority Christian, but Muslims represent about 10 per cent of the population. In his remarks, Pope Francis referred explicitly to three recent attacks claimed by the Somalia-based al-Shabab extremist group, saying he knew well that the memories were still fresh in Kenya’s mind. In April, the Al-Qaeda linked Al-Shabab claimed responsibility for the attack on a mostly Christian college in northeastern Kenya that left some 150 people dead. A month earlier, Al-Shabab claimed responsibility for attacks in Mandera county on the Somali border in which 12 people died. In September 2013, at least 67 people were killed in an attack by al-Shabab on the Westgate mall in Nairobi. Al-Shabab opposes Kenya’s decision to send troops to Somalia to fight the group as part of an African Union force backing Somalia’s weak federal government. Since the Paris terrorist attacks on November 13, governors of more than half of the US’s 50 states have said they will not welcome Syrian refugees—defying President Barack Obama’s September announcement that the US would take 10,000 Syrian refugees in 2016. While many arecalling their remarks Islamophobic and politically motivated, Christian church groups have been particularly outspoken about the governors’ lack of compassion. A number of these church groups and church-affiliated missions have a long tradition of working with the federal government to place refugees in local communities; some have been resettling refugees in the US since World War II. The governors’ statements don’t necessarily carry legal weight—the Federal government has the power to decide where refugees resettle in the US—but their remarks still seem to be having an impact. Twenty Syrian refugees were supposed to arrive in the “Quad cities,” four adjoining counties in Iowa and Illinois, via World Relief, a non-profit started by a national coalition of evangelical churches during WWII. But after Iowa Governor Terry Branstad and Illinois Governor Bruce Rauner said they would block any efforts to resettle Syrians in their states, those plans are on hold, World Relief said. Should we call it ‘radical Islam’? 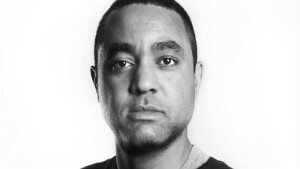 John McWhorter teaches linguistics, American studies, philosophy and music history at Columbia University and is the author of “The Language Hoax: Why the World Looks the Same in Any Language.” The opinions expressed in this commentary are his. (CNN)Republicans who despise Democrats such as Hillary Clinton for describing America as in a battle against “terrorism” rather than “radical Islam” need to get out of the sandbox. Their charge is, at heart, childish. The gripe is that Clinton, President Barack Obama and others, in refusing to say we are battling radical Islam, are too caught up in political correctness to even call our enemies by name. The further implication is that our leaders’ reluctance to directly call out our enemies stems from not truly considering them culpable — i.e., believing that the West had it coming. No. The complainants think that as long as we say “radical Islam” rather than “Islam” alone, we are suitably specifying that we don’t hate Muslims. But that isn’t how it would appear to Muslims themselves, and for understandable reasons. That affects how one processes such a sentence — the adjective can come off as a kind of decoration. “I’m thinking about one of those juicy steaks” — note how we process the person mainly as thinking about steak, not steaks with the particular quality of being juicy. The “juicy” feels parenthetical. There seems to be no bottom to the cesspool of Islamophobic rhetoric coming from Republican candidates. The tone of anti-Muslim musings post-Paris attack has become so poisonous that it cannot portend anything positive. Indeed, this is the problem with reckless, racist rhetoric: Each utterance tosses one more log onto the bonfire that can burn out a space for the unimaginable. Whereas these candidates may not be conscious of this “ultimate logic” or in any way approve of it, it doesn’t make their language any less dangerous when it lands on the ears of the minorities on the margins, or those looking for a reason to gussy up their wrongheadedness with righteousness. To be fair, I’m not a very good Muslim. I don’t perform daily prayers anymore. I have never been on a pilgrimage to Mecca. I partake of the forbidden drink. I do give to charity whenever I can, but I imagine that this would not be enough to save me were I to have the misfortune, through an accident of birth or migration, to live in a place like Raqqa, Syria, where in the last two years, the group variously known as Daesh, ISIL or ISIS has established a caliphate: a successor to past Islamic empires. Life in Raqqa reportedly follows rules that range from the horrifying to the absurd: The heads of people who have been executed are posted on spikes in the town’s main square; women must wear a niqab and be accompanied by a male companion when they go out; smoking and swearing are not allowed; chemistry is no longer taught in schools and traffic police are not permitted to have whistles because ISIS considers them un-Islamic. In the wake of terrorism, the burdens of Islamophobia fall especially hard on students. Even before the Paris Attacks, Muslims on American college campuses were often the targets of hatred or violence. In November, Virginia Tech responded to a threat that claimed “I will kill all Muslims,” and Islamophobic posters were hung at American University. And it’s only gotten worse since. “People are a little more careful traveling alone, going out at night, walking to their cars,” Adeel Zeb, the Muslim Chaplain and director of Muslim life at Duke University, told me. And that reality plays an important role in the everyday lives of students. Across the country right now, students are walking out of classes, demanding administrators’ resignations, and staging protests to draw attention to prejudice on campus—and to press for greater inclusion. Most of their focus, though, has been on race. Where does pushback against Islamophobia fit in? Hate crimes against American Muslims spiked tremendously after 9/11. Hate crimes against Sikhs increased too. In Britain, hate crimessoared after the London bombing. And after the attack on Charlie Hebdo earlier this year, The Independent reported that “twenty-six mosques around France have been subject to attack by firebombs, gunfire, pig heads, and grenades as Muslims are targeted with violence.